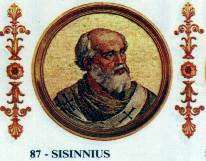 Pope Sisinnius (c. 650 – 4 February 708) was Pope from 15 January to his death in 708. A Syrian by birth, Sisinnius' father's name was John. The paucity of donations to the papacy during his reign (42 pounds of gold and 310 pounds of silver, a fraction of the personal donations of other contemporary pontiffs) indicate that he was probably not from the aristocracy. Sisinnius was selected as pope during the Byzantine Papacy. He succeeded Pope John VII after a sede vacante of three months. He was consecrated around 15 January 708. Sisinnius remained pope for just twenty days. According to the Catholic Encyclopedia, "although he was so afflicted with gout that he was unable even to feed himself, he is nevertheless said to have been a man of strong character, and to have been able to take thought for the good of the city". Among his few acts as pope was the consecration of a bishop for Corsica. He also ordered "that lime be burned in order to restore portions" of the walls of Rome. The restoration of the walls planned by Sisinnius was carried out by Pope Gregory II. Sisinnius was buried in Old St. Peter's Basilica. 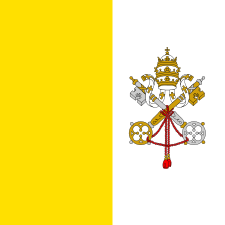 He was succeeded less than two months later by Pope Constantine. Constantine, also Syrian by birth, was probably the brother of Sisinnius. 1 2 3 4 5 6 Herbermann, Charles, ed. (1913). 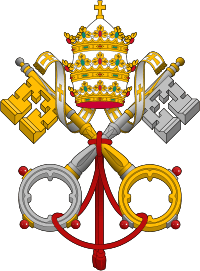 "Pope Sisinnius". Catholic Encyclopedia. New York: Robert Appleton Company. 1 2 3 Ekonomou, 2007, p. 246. Williams, George L. 2004. 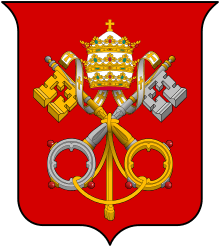 Papal Genealogy: The Families and Descendants of the Popes. McFarland. ISBN 0-7864-2071-5. p. 10.